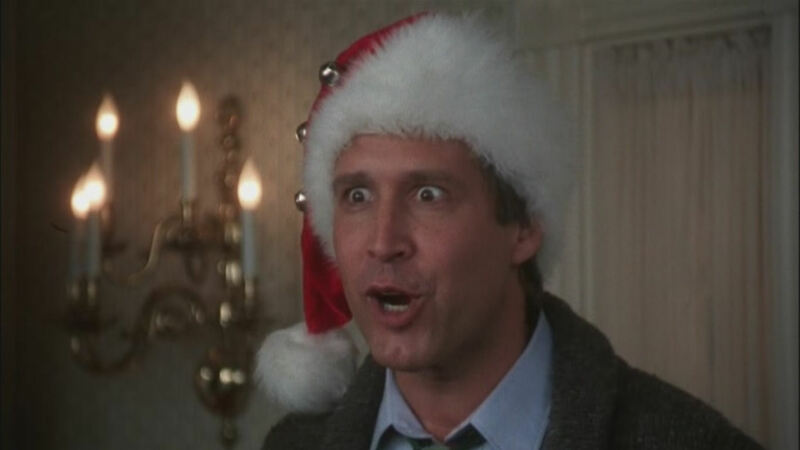 The cast of National Lampoon's Christmas Vacation: Where are they now? National Lampoon's Christmas Vacation is one of those comedies that hasn't diminished with age. Released in 1989, it was an instant hit and was one of Chevy Chase's most successful films. Not only that, it was written by John Hughes - as in John Hughes who did Ferris Bueller's Day Off, Pretty In Pink and Home Alone. Chevy Chase's career has seen hills and valleys. Throughout the '80s and early '90s, he had a successful career as a physical comedic actor. National Lampoon's Christmas Vacation is as slapstick as it comes. He's been in TV's Community (and had a very public spat with creator Dan Harmon) and had a small role in Hot Tub Time Machine. He also appeared in the reboot Vacation with Ed Helms and, to be honest, it reminded us of how far Chevy Chase has fallen. Random trivia about Beverly D'Angelo - she was the voice of Lurleen Lumpkins from The Simpsons - that's the country singer Homer managed way back when. D'Angelo turned up as a guest star in HBO's Entourage as Barbara Miller, Ari Gold's business partner. Like Chase, she also returned for Vacation. D'Angelo also appeared in the Allison Janney / Anna Faris TV sitcom Mom, too. For some weird reason, Juliette Lewis' voice hasn't changed in twenty-four years. She still sounds exactly the same in Christmas Vacation as she does in, well, anything she's done since. She starred in Oscar-bait drama August: Osage County alongside Meryl Streep and has had roles in Whip It! with Ellen Page, Due Date with Robert Downey Jr. and even had a successful career as a lead singer with her band Juliette And The Licks. No kidding, we never made the connection between the little son from Christmas Vacation and the main guy from (shudder) Big Bang Theory. But there you go. He's starred in In Time with Justin Timberlake, Hancock with Will Smith and even had a small role in Vanilla Sky.